Version control systems can go a long way in preventing developers from pulling their hair out while trying to analyze alterations and contributions made to the shared code. Simply put, a VCS is a pivotal constituent of the software configuration management system that caters to the change management needs on a project. The changes/revisions/updates made are identifiable via letter codes or numbers. Information like time stamps and the identity of the change maker is also maintained. In this tutorial, one of the most frequently used version control systems – GIT will be talked about. You will learn GIT basics like how to install GIT on different systems and how to use it properly. A distributed version control system, GIT follows a peer to peer approach unlike others such as Subversion (SVN) that follow a client-server based model. GIT allows developers to have a plethora of completely independent code branches. Creating, deleting and merging of these branches is seamless and takes no time. In GIT, all operations are atomic; that means that an action can either succeed completely or fail (without making any alterations). This is important because, in some version control systems (like CVS) where the operations are non-atomic and if a repository-wide operation is left hanging, it can leave the repository in an unstable state. GIT uses a data model that helps in ensuring the cryptographic integrity of anything present within a repository. Every time a file is added or a commit is made, their checksums are generated; similarly, they are retrieved via their checksums as well. Another excellent feature present in GIT is its staging area or index. Within the staging area, developers can format commits and get them reviewed before actually applying them. GIT is considerably simple to use. To begin with, you can either create a repository or check out an existing one. Post-installation, a simple git-init will get you all set up; conversely, git clone can set up a working copy of the local repository for a user. 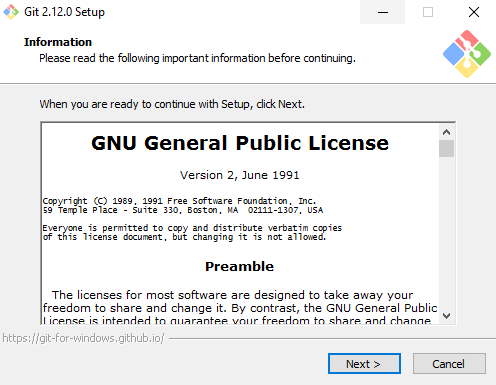 Visit this website and download the standalone GIT for Windows installer. Once downloaded, double click on the executable to start the installation wizard. Just follow the on-screen instructions, keep clicking Next and finally Finish to successfully complete the installation. Note: Remember to replace John Smith and example@email.com with your own pertinent details. Any subsequently created commits will be associated with these details. That’s all it takes to install GIT on Windows. Visit this website and download the latest installer for Mac. Follow the on-screen instructions and finish the installation. Once again try the git --version command in order to confirm that the installation has been successful. 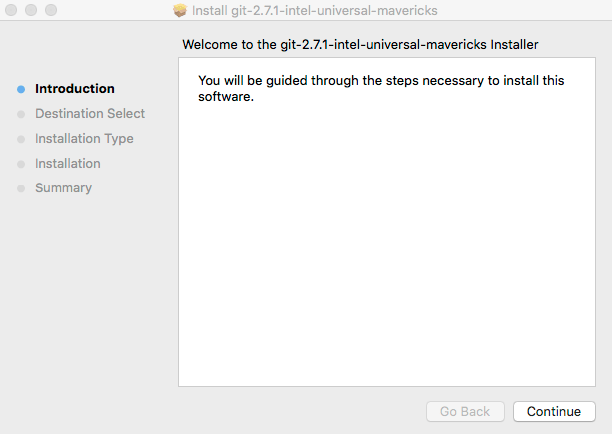 Verify that you have successfully installed it by using git --version. You can retrieve GIT packages by using both yum and dnf. Verify that you have successfully installed by using git --version. Now that GIT is all set up on your Windows/Mac/Linux device, let’s explore GIT basics and how users can get started with GIT. If you have an account on Hostinger, you can easily clone and manage repositories via Members Area –> GIT tool. For example, if you want to clone a GIT repository, simply enter it’s address, choose a branch and Install path and hit create button. Once creation is complete, you will be able to manage your repository in the same section. Now that a repository is all set-up, let’s talk about the structure that’s maintained by GIT. Every local repository consists of three trees: the working directory which contains the actual files; the index which plays the role of a staging area and the HEAD which is a pointer to the last commit made by the user. So, this is how the workflow can be explained: the user adds a file or changes from the working directory to the index (the staging area) and once reviewed, the file or changes are finally committed to the HEAD. Note: Once the commit command is run (from within the working directory), the file gets committed to the HEAD, but it’s still not sent to the remote repository. Note: Replace <server> by the address of the remote server. Once cloned, any changes made will be pushed to the pertinent server. The 1c2d2d56fa in the above command refers to the first 10 characters of the commit-id that is referenced with the tag. The commit ID can be found from the log. Doing so will replace the working tree changes with the last data present in HEAD. Any changes that have already been added to the index will not be harmed. You will now learn how to create a .gitignore file. It is a very useful file which specifies which files or folders of your working directory should be intentionally ignored and untracked. Each line of this file specifies a certain pattern. This is particularly useful when you don’t want some compiler generated stuff or some unwanted file, in general, to be included in your repository. Keep in mind that .gitignore file should be created inside your project folder. If you are using Windows as your Operating System then, creating a .gitignore file doesn’t simply work the normal way. If you try to create a file without any name you will get an error as shown below. So to work around this problem follow the below steps. Create a new text file named gitignore.txt via Right Click -> New -> Text Document. Open the file as a normal text file in the editor of your choice and add all the rules you need to exclude the files. 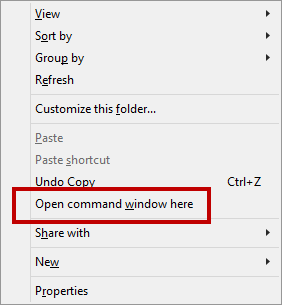 Now open a command prompt window pointing to this folder by holding SHIFT + Right Click and then select Open Command Window here. Type in the following command to rename the file from gitignore.txt to .gitignore file. You have now successfully created .gitignore file. You can also skip all the above steps and directly create the .gitignore file without any restrictions with Command Prompt opened in the directory you wish to create it using the below command. In Linux and MacOS, there is no such restriction as Windows OS. So to create a .gitignore file Right Click -> New Document -> Empty Document and save document as .gitignore. Below you can find some typical .gitignore configurations (you can directly start adding these lines in .gitignore file). You could also use something like *tmp* to ignore any file containing tmp in its name or extension. This line will exclude all the files inside the Output directory. Apart from these basic usages, if you wish to learn about more complex patterns for .gitignore file you can refer the Official Documentation. In the deeply entangling realms of software projects, it’s always comforting to know that an entity is taking care of all the code-management for you. 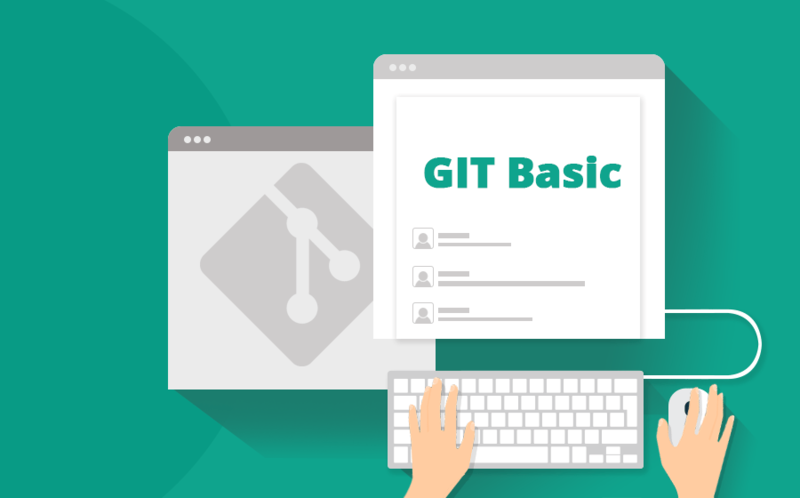 This GIT basics tutorial should allow any developer to get started with GIT, which is a rigorous (and very helpful) version control system with a plenty of features. If you want to learn more useful GIT commands, to check out our basic GIT commands tutorial. Hy Domantas, how i can use git in my hosting for manage my website ? i use the premium hosting in hostinger.co.id. Thanks before. Yes, GIT is fully supported on our premium and business Hosting plans.